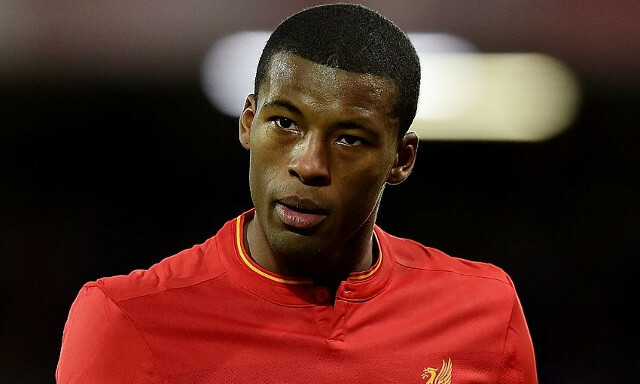 Gini Wijnaldum was brilliant once again for Liverpool on Sunday, and over the past three or four weeks, he’s probably been our best player. The Dutchman was everywhere, contributing defensively and offensively in a box-to-box role which seemingly suits him to a tee. But the former Newcastle man claims nobody holds a grudge against Lallana, who he reckons played brilliantly throughout the 90 minutes. “At the end I think you must be satisfied, even though we didn’t score a [winning] goal, Wijnaldum told ESPN. “I am a little bit disappointed at 1-0 we didn’t score the chances we had. Also at 1-1 we had a big chance with Adam Lallana but unfortunately he didn’t touch the ball. “He said, ‘I’m sorry, I have to score it,’ but no-one blames him. We all know he wants to score and anyone can have those moments in a game. It can happen. Lallana’s bagged seven Premier League goals this season, but not one since the December 27th clash with Stoke, unbelievably. He also hasn’t registered an assist in 2017, but has been pretty good of late – shining against Spurs, Arsenal and City.